On Saturday I decided to ‘discover’ a new area and try and take some photos. Amsterdamse Waterleiding Duinen (AWD) is one of the Netherland’s largest dune areas, at around 3500 hectares (including 530 hectares of forest). 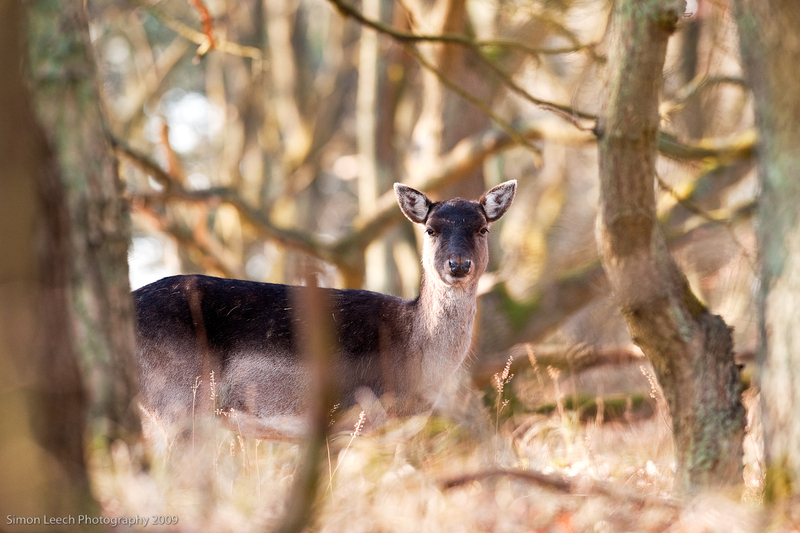 The national park is located in between Zandvoort, Bloemendaal, and Noordwijk, and is mostly used as a water catchment area for the Amsterdam region. The area hosts a large variety of landscape, from fairly open to dense forest, and rich flora and fauna. Although I have been to AWD once or twice in the past, I have always been with other people, and never come away with any pleasing results. This time I decided to go on my own, and see what I could find. 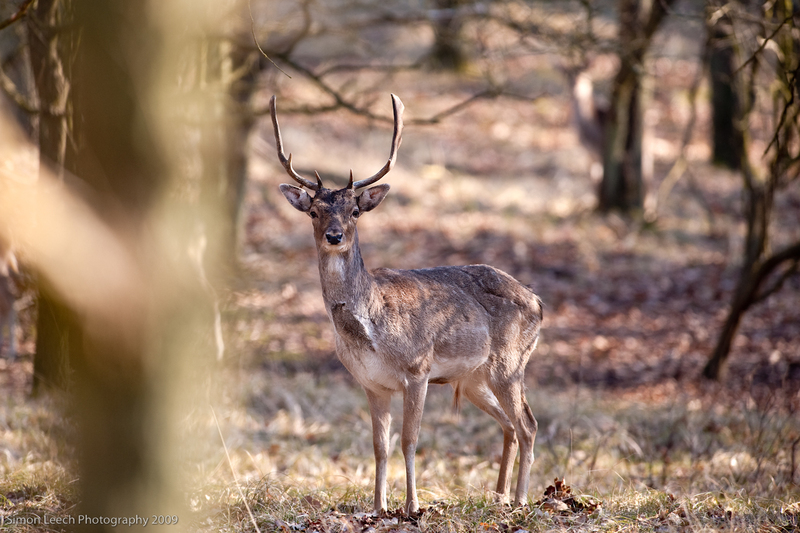 It was also an opportunity for me to try out my new 300mm f/2.8G VR lens, so I decided to see if I could find some deer, since this would be a good target for a 300mm lens. I arrived at AWD around 0930, which was already a bit too late for the good light, but after a hectic week I didn’t feel like getting up too early. On arrival at the park I was disappointed to discover multiple groups of senior runners had descended on the park (I assume as part of some organised event, since they seemed to be split into groups of 20, all following their leader’s instructions), so it was a bit hectic and not particularly ‘quiet’ inside. I felt this wasn’t going to help my chances of finding deer, but nevertheless decided to persevere. I had entered the park at the Oase entrance, and knew from my previous visits that there was a lot of dense woodland to the left of the main path. I started walking, and after about 25 minutes saw my first doe, just off the path. I carefully moved into the woodland area, taking care not to disturb any of the animals, and patiently waited behind a tree. Luckily I remained unnoticed by the deer, and was able to get a number of shots of the does, including the one in this post. I stood and watched a small group of female deer from my position behind the tree for around 30 minutes until they were scared by a group of runners. They also managed to scare the remainder of the herd (around 50-70 animals, including some bucks) who had been grazing further into the forest, who ran past me, pausing every now and then, and I was able to get the buck shot at the start of this post. For the remainder of the morning I wandered around the park, but didn’t shoot too much, since the light by now was fairly harsh (and the runners were patrolling the park in packs) but I fully intend to go back and explore some more soon. I was happy with my first experiences with the 300mm – it’s a nice size to work with, and a lot more portable than dragging the 600mm around. The first shot in this post was taken together with the tc-14e teleconverter (Nikon D3, 420mm, f/4, 1/500s, iso400) and the second shot was bare (Nikon D3, 300mm, f/4, 1/500s, iso800). Both shots were taken using a monopod for support. I’ll provide a full review of the 300VR once I have had some more experience using it…..
” …runners patrolling the park in packs” – now THAT would have made an interesting picture! I’m enjoying your Blog – keep writing! – Keen Nikon user / fan.